It is never a good idea to use smartphones or other devices while behind the wheel. In fact, distracted driving is a key risk factor for automotive accidents. 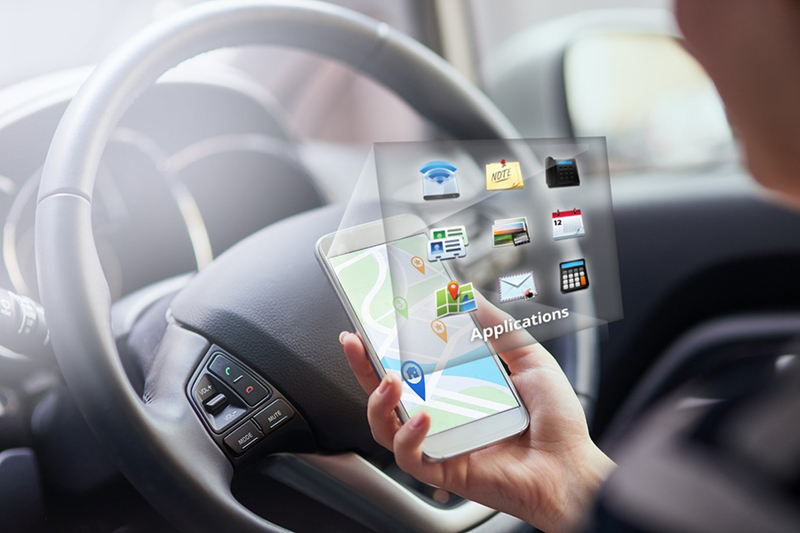 However, certain smartphone applications and features can make road trips and other excursions easier, safer and more enjoyable - provided these apps are used before getting in the car, when safely pulled over, or in the hands of a passenger. Drivers may not know where to pull off the highway when they need a mid-trip snack or a restroom run. iExit enables you to see all upcoming exits on a particular roadway (when location services are turned on) and which amenities are accessible at each exit. The app also tells drivers which way to go if they need to find gas stations or restaurants. Icons indicating food, fuel, hospitals, and even banks/ATM machines are included to indicate what's available at the exit. Field Trip by Google will pull from categories you have selected and your location to indicate potential sites of interest around you. The app works off of recommendations from travel and lifestyle sources, and will provide Bluetooth-enabled alerts when you're close by. Exclusively for locating fuel stations, GasBuddy also helps drivers compare gas prices so they can save money if they so desire. When fuel costs can make or break a trip, this app will keep your tank and wallet full. To keep track of vehicle performance, use Dynolicious Classic. While this app's not free, it's less expensive than a visit to a service station. Dynolicious relies on an iPhone's built-in accelerometers to gauge lateral and longitudinal acceleration and horsepower. Smartphones already feature built-in map apps that offer navigation and directions, such as those offered by Google and Apple. But Waze is a community-driven app that provides real-time updates to traffic situations, gas prices, law enforcement sightings, and alternative routes to avoid delays. Finding that elusive parking spot can be challenging. When you finally grab a space in a parking garage or on city streets, you want to make sure you can find your way back there easily. Enter Honk, an app that can mark your vehicle's location with a GPS pin. You can also make text or verbal notes indicating position or how much time you have on a parking meter, as well as use the app to find businesses nearby.